Your best friend is getting married and she's asked you to be a bridesmaid. You're delighted, right? It'll mean loads of bonding in the run-up to the wedding, getting to mortify her on the hen and being by her side on the big day. Of course, life is rarely as straightforward as that. 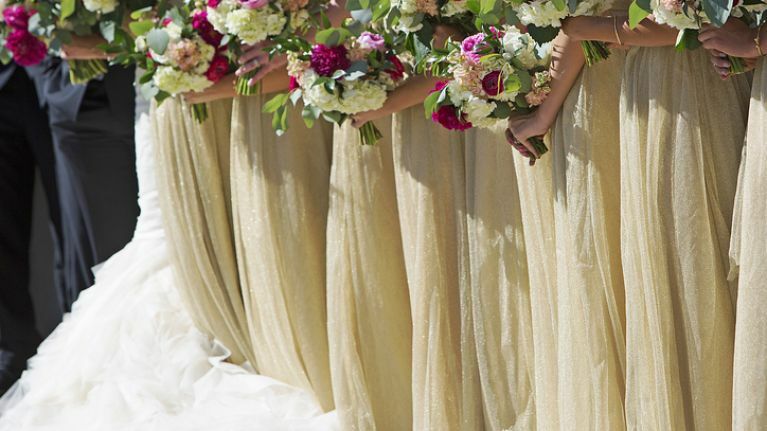 Organising a wedding can drive even the sanest person a small bit mad and we've just come across one of the most bizarre bridezilla stories we've ever heard. A bride has asked the internet whether it's OK to make one of her bridesmaids wear coloured contacts on her wedding day. 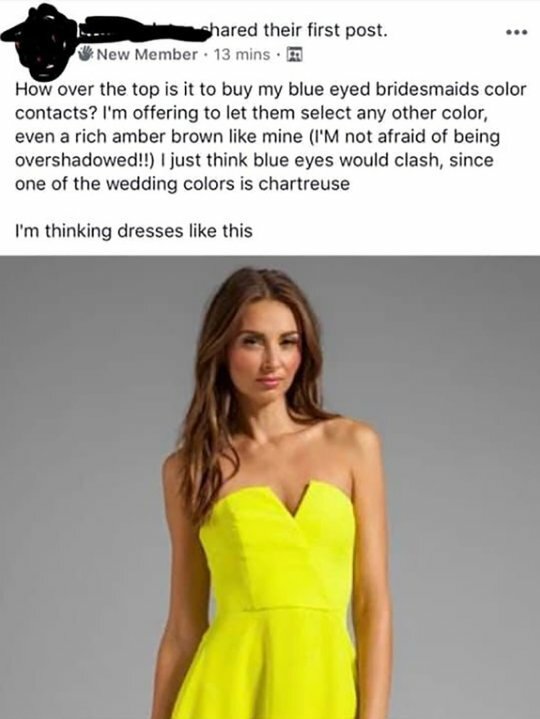 Posting in a Facebook group, the anonymous woman said she was worried about the girl's blue eyes clashing with her chartreuse (a bright yellow) bridesmaid dresses. "How over the top is it to buy my blue eyed bridesmaid colour contacts?," she wrote. Unsurprisingly, the rest of the users in the group were mostly against the idea. "Five years from now, when you look back on your wedding, even small details like ‘what shoes were the bridesmaids wearing’ won’t matter or be remembered. Much less nonsense like this." "Why not buy yourself blue eyed contacts there Bridezilla." We do think it's fair that the bride gets some input in her bridal party's looks - but dresses, hair and makeup should really be where this ends.